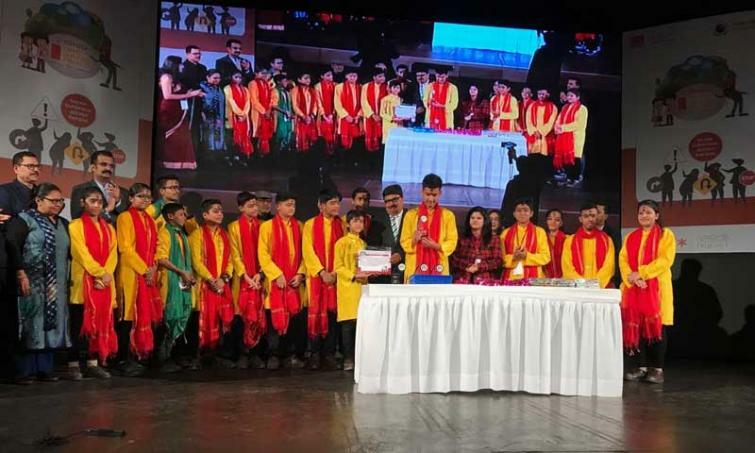 New Delhi, Feb 9 (IBNS): Reiterating its strong commitment towards Road Safety, Toyota Kirloskar Motor, today organized a national platform on road safety for the state level winners with an aim to evaluate the real-time learnings and applications by the students. ‘Toyota Safety Education Program’ (TSEP) is an interactive learning program targeted at school children between the age group of 10-14 years educating them on the importance of road safety through a phase-wise approach. The event was graced by Eish Singhal, Deputy Commissioner of Police - Delhi Traffic Police; Ramdeep Choudhary, Deputy Secretary (MoRTH), Kamal Singh, Executive Director - UNGCNI [UN Global Compact Network India] in the presence of the senior representative from Toyota Kirloskar Motor, Naveen Soni, Vice President. The new TSEP module is focused on bringing in attitudinal change amongst school children. It is a step wise approach, a slow introduction of the concept to school children aiming for better retention of the awareness on important aspects of road safety. The program is an age group wise distribution of the know - how on road safety to children [Grade 5th – 8th]. Specific to Grade 9, the students are encouraged to take up project-based activities [on voluntarily basis] well-guided by teachers with an aim to educate the general public on road safety. As a part of the learning program, children are engaged in mimes, slogan writing, drawing competition, class room sessions, quiz competitions, manning traffic junctions, teaching the learnings of TSEP to the junior class children and nearby schools. The emphasis is to demonstrate the projects on road safety in various platforms like parents – teacher meet, school assembly, public areas. All these activities are undertaken under the active leadership of the respective teachers from the school under the guidance of Toyota and implementing partner. Through these various measures, Toyota aims to influence the general public and the families of the children, setting an example through the actions of younger safety ambassadors.